Hey Everybody! 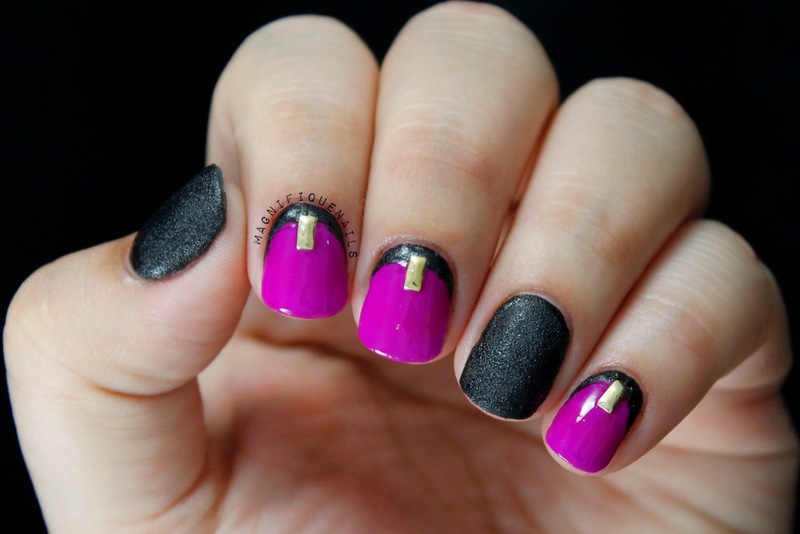 Today's post is all about the Alphabet Nail Art Challenge: E for Elegant. Sometimes, you just have to go for some simplicity & leather, well the leather effect of course. ;) I'm not a big fan of purple, I guess it depends on the brand or the consistency of the nail polish. For the base, I used one coat (YES!! ONE COAT!) of Pure Nail Lacquers Sassy Me. You can add a second coat for more coverage, but one will do. For the ring finger, I used two coats of Nails Inc. Leather Effect. This polish is amazing, once applied watch how the effect transforms into a leather. With a nail art brush I drew a half circle, starting in the middle. 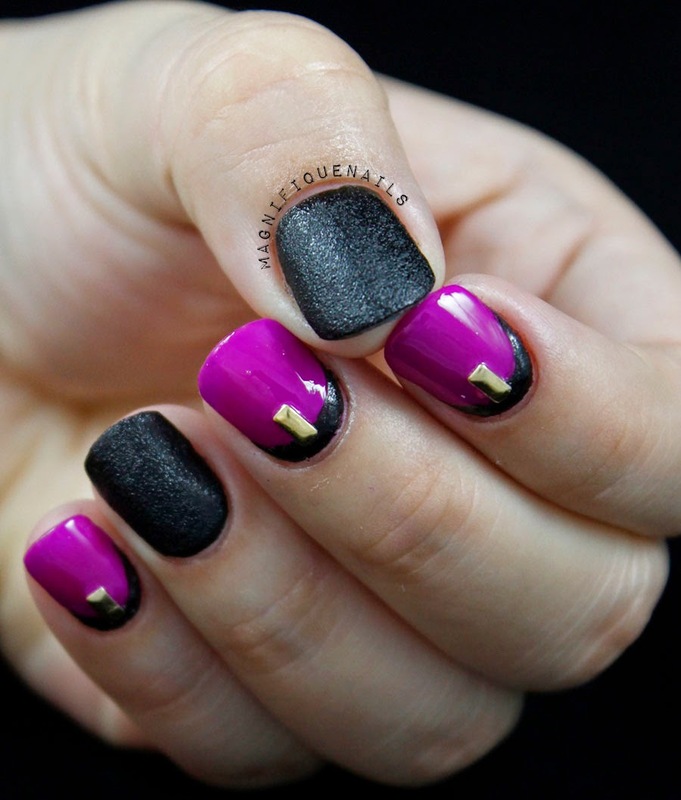 Then I filled in the space above the cuticles using Nails Inc. Then accent the ruffian with a small square stud. You can purchase the stud wheels in Born Pretty Store.